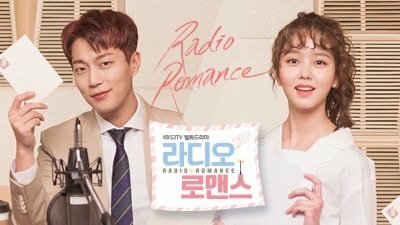 Starring: Yoon Doo-joon and Kim So-hyun, with Yoon Park and Yura. I wanted to watch this one because of all the buzz that Kim So Hyun is all grown up now and doing an adult roll (not sure if this is her first one, but still... all grown up) She is the one that played the young girl in Moon Embracing the Sun and got RAVE reviews back then. The people love her. But it also introduced me to a new guy to love, Yoon Doo Joon who is in the kpop group Beast now known as Highlight. He plays such a sour faced dude that it was hard to imagine him as an idol singer and dancer, but yep. He is! 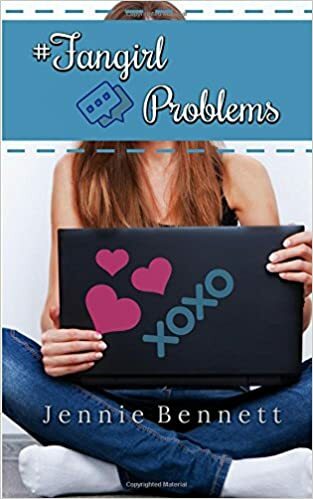 This is the story of a girl who is working as a writer at a struggling radio station. When of their DJ's quits she is commissioned to bring in a famous leading drama dude as their new DJ. He wants no part if it, but somehow, he is intrigued anyway and since she refuses to give up, he relents and comes to be part of this show. So of course, as we go along, we learn that they actually have some ties to the past together. And so it's fun to watch that be revealed. It's also fun to see this sour faced emo actor (the actor plays an actor, remember) start to loosen up and relax and become human. Of course, that's my favorite part. That being said, this drama was just okay for me in the end. Not near as gripping a story as most dramas are. Cute and fun, but not near as powerful as most are. What a fun summery book! I loved it. It's about a girl whose mom dies in the beginning and she gets sent to live with her dad in Italy, at least for the summer, maybe for longer. Problem is, she didn't even know this dad existed until her mom was dying and saying to her....how about you go and live with this dude! He lives in Florence, in an American WWII cemetery where he runs the place. This creeps Lina out at first, but it grows on her. She meets a boy one day when she is out running and... he grows on her too. In fact, she actually enlists his help in solving the mystery behind her mom and dad. Like what really happened and why did they never keep in touch all these years? Lina gets a journal that her mom left behind which is an account of the summer she meet her dad and between that and doing some digging on their own, they piece together the story. So in fact, it's the story of both Lina dealing with her mom's death and learning about her dad, and the story of her mom and what happened that summer many years ago. So there's some heavy subjects, but they are handled well and lightly. If that makes sense. It's so fun to have been to theses cities (both Florence and Rome) and to be able to picture everything that's being talked about. They truly are awesome romantic cities where awesome love can blossom! 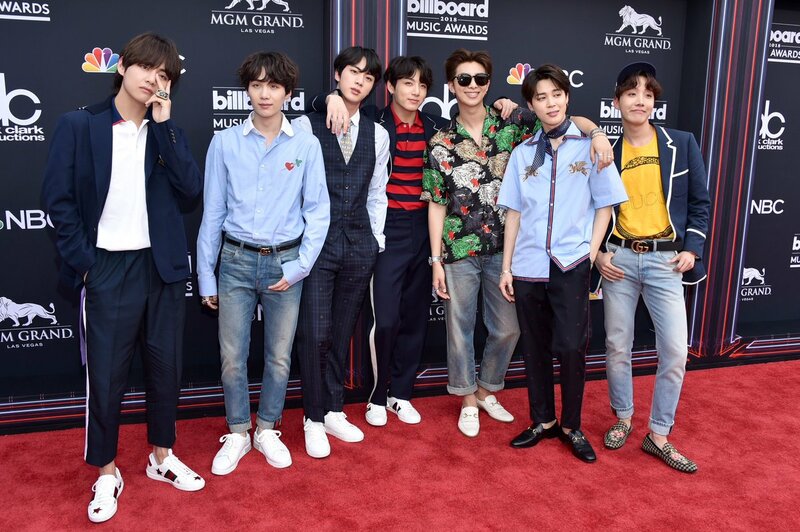 This Week in KPOP: BTS Edition! It's been such a CRAZY week in kpop. So much has happened that for this post, I'm going to concentrate only on BTS. ** BTS released their latest full album. (You can listen to it here on YouTube or on Spotify.) I forget what number it is... 5th maybe? I should know, right, but it gets confusing when they release mini albums and repackage albums and etc etc. But it's somewhere like their 5th or 6th full new album. It's called Love Yourself: Tear. Instead of buying it from some online place and getting it shipped from Korea... I walked into Target on that day and JUST BOUGHT IT! Seriously. This still feels so weird. But Target has since restocked with their previous album (Love Yourself: Her) and there are tons of each there at the moment. ** Two days later they appear at the 2018 BBMAs in Las Vegas and win the Top Social Artist award just like last year.. and they perform their title track Fake Love in the USA for their "comeback stage." (Kpop term, maybe I'll explain terms some day. We have a video planned for this actually.) Doing their comeback stage in the USA is CRAZY! But they did and it seems all the celebrities there fell in love with them, and I'm sure a whole new crop of fans were born that watched them on TV. ** They had recorded an appearance on Ellen again, just like last November and that aired this past Friday. They performed Fake Love again and got teased and scared by Ellen. Though as last time, she didn't leave much time to actually talk to them. ** Yesterday, it was announced that they made the number one spot on the Billboard 200 in the US with that new album. They, a Korean band, outsold everyone else this past week. It's an insane accomplishment. And something that I'm not sure they even ever thought to dream of. ** Due to that accomplishment, the president of SK wrote them a letter and tweeted to them a congratulations. I don't even know what to think about this. And BTS is reeling I'm sure. ** Basically, I'm hoping that the world is looking at kpop in a different light, even just a little. And while BTS fans (crazy ARMY I call them. There's actually sane ARMY and there's crazy ARMY) they claim that BTS can no longer be called kpop, that they've broken the mold and the stereotype... while that may be true ( about the stereotype) I want to argue that they will always be kpop and that they should embrace being the ambassadors for this music. Anyway. If you've been curious at all about them, it's good time to investigate! So, you'll let me know if you listen to something and let me know what you think, right? Bottom Line: It's been a GREAT week for BTS! Like there are truly no words to describe how awesome it's been. I really hadn't heard about this movie, I seem to be not in the right circles these days. But my daughter said, let's go to a movie and this one was the one she wanted. She'd heard a ton of great things about it. And so we went. I knew to be worried though. I knew it was going to be a bit... jumpy.. shall we say. Which is sort of an understatement! Anyway, the premise is this is our world awhile after an alien invasion. We first see this family as they are trying to get drugs at an abandoned pharmacy. (The scene reminded me a lot of Walking Dead scenes... rummaging through a store hoping to find what you need.) It becomes clear right away that it's very important not to be noisy. But that is not confirmed until a few more minutes into the movie... in a very big and traumatic terrible way. Now we know. It's very very important not to make ANY noise. Another year or so passes. The family seems to be surviving pretty well and has established a very quiet way of life. This is all thanks in part because they know sign language since their daughter is deaf. We also see that the mom is now pregnant. Yeah, and so HOW THE HECK IS THAT GOING TO GO DOWN? Well, you'll just have to watch the movie. All I can say is that it's VERY intense and VERY edge of your seat and.. yes... lots and lots of jumps. And yes.. it's so very very quiet. I was worried there would be no music, but thankfully there was. But lots of times there wasn't. And you know, the scenes in movies when a person is sneaking around and you are just waiting for something to jump out... this WHOLE movie is that way! AH!!! But then the characters can't scream!!! I was so exhausted by the end! LOL! 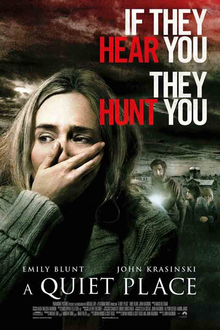 But it's a great scary movie because it is all about the suspense. I love that. These guys were all great actors too because they truly had to rely on actually acting... without hardly any dialogue. It was awesome. And the ending. I just have to say, and hopefully it's not too much of a spoiler... BEST ENDING EVER! (Even despite some... stuff.) The audience reaction is the BEST too. It's all worth it for that. So if suspense movies are your thing, don't miss this one. Here's the trailer if you haven't seen it yet. Beware, even the trailer is pretty intense! We went to this book signing awhile back when Tahereh was in the neighborhood. Very fun as usual. It was great to see her in person. She is spectacularly beautiful. 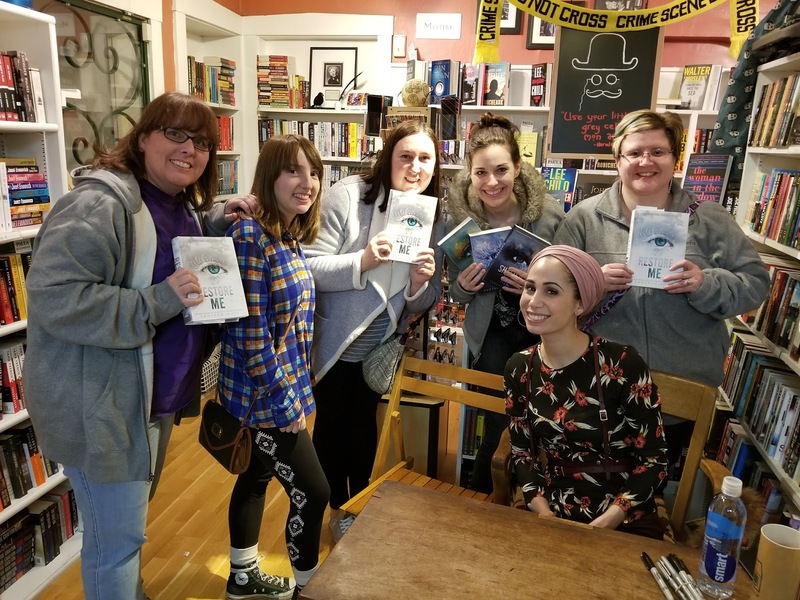 I already can't remember a whole lot about what she had to say (most of it was random stuff that Alli Condie asked her) but I do find it impressive that an author truly knows everything that's going to happen in their books and how it will all end! There are still several books to come in this series I think. So much to happen! 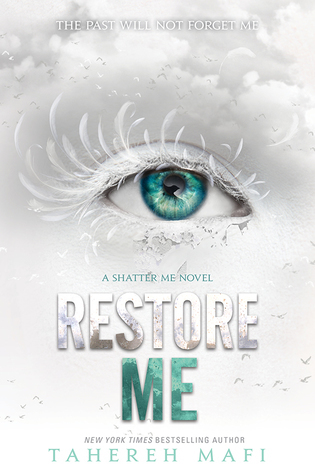 This one starts pretty much right were the other one (Ignite Me) left off. The bad guys have been killed and Juliette is now in charge of the country. She is preparing to meet some of the leaders of the other countries in hopes that some sort of peace negotiations can be worked out. But, as they wait for that to happen, Warner begins to freak out because he knows he needs to fess up to Juliette about his past. And it's not good. There's so much she doesn't know. And he has to be the one to tell her. Then, all that opens up a new aspect to this story which will now provide the basis for the following books! So for me, this is like the start of another side series of sorts, even though it's all our same people. For the Team Adam friends, sadly, Adam is barley in this book. I'm still hoping he will get his own story at some point. New characters are introduced and they are quite fascinating. It took me a few pages (50 or so?) to get into to this one, which made me worry for a minute, but then it got going and I was hooked. Pretty much I will need to read them all to find out how this all ends and to see if Juliette ever gets a normal life. And if Warner's mental distress ever gets healed. Starring: GAH... SO MANY AWESOME NAMES! So this drama. Yeah. It's one I heard about when it was being aired and everyone was going crazy over it. And then they talked about the tragic-ness of it. How sad it was. How it rips your heart out! I was like, why would I want to watch that then? It sounded way too much of a downer for me. So I stayed away. Then it come up to do as a watch along with some other kdrama fans and friends. I thought, oh, maybe this is the way I can handle this drama! To watch with others! Well, that didn't work at all, sadly. (Watching dramas together is way too painful since we all have a different way of watching. Some binge, some pace.) And I was very very bummed. And I thought about giving up because... just because. But then my husband, who has tolerated my drama watching for 2 1/2 years now, said... "I'll watch it with you." I was like, wait what? He seemed totally serious so how could I pass that up? And so I started over (I had watched 4 episodes at that point) and we watched the whole thing together, one or two episodes a night. And it was awesome, sad tragic-ness and all!!! 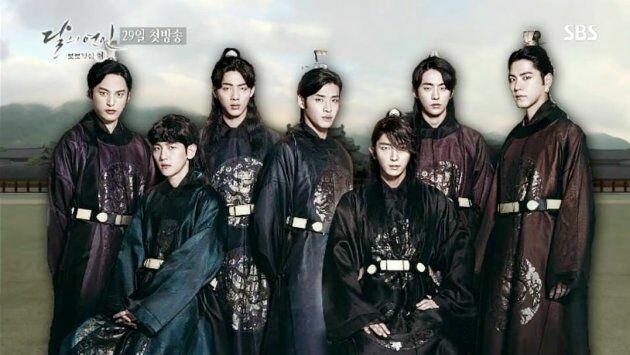 Anyway... the current king is the dude who united various kingdoms into one which started present day Korea (so yes this drama is loosely based on true history... very loosely) And in the drama he has 8 sons... the PRINCES! And a daughter or two also. And two queens. One evil. One... okay. Of course the princes are all beautiful. And after awhile, they all pretty much fall in love with our girl. OF COURSE! But they are all very very unattainable. Or already married. Etc. etc. The struggle. We get to know them all very well. Their crazy back stories. We get to understand that they all (well not all maybe) want to be king when their dad dies. And so, what will happen when he does die? And thus let the real struggle begin. It's an epic sweeping royal family saga that is beautiful in all the ways it interprets this story! Like everything is just... beautiful. I don't know how else to describe it! There is some cheesiness here and there. And some convenience things. But yeah.. it's an amazing production. And going into this knowing that it's all tragedy and sadness, we know that nothing ends well. Right? This is not your typical happily ever after Kdrama. And that can be frustrating. Because there are so many... if onlys! That being said, it was easier to bear than I expected. Sigh. 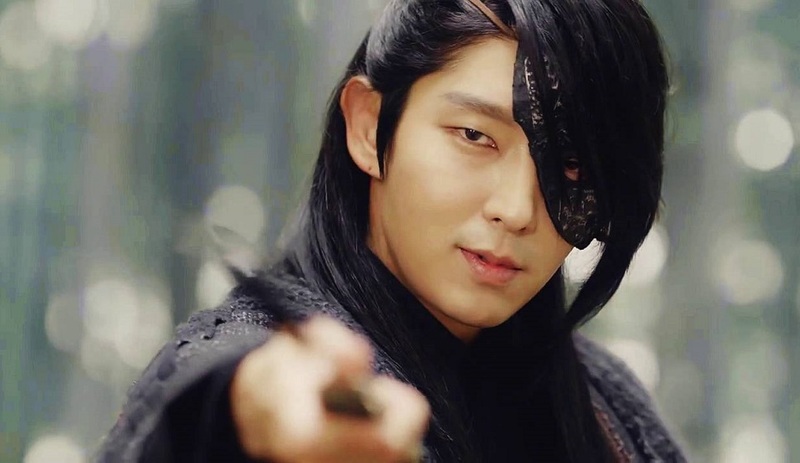 I survived Scarlet Heart! There was one scene though, where I wasn't sure I would. Oh my gosh. Seriously hard to watch. Anyway. I loved it. So glad I pushed through and just watched it! There are so many awesome songs from this drama I can't even begin to tell you. So I'll leave at the one. Anyway, if you are in the mood for an epic family saga set in the brand new early days of Korea... this one is it! Jennie's got another Kpop Romance book coming out! 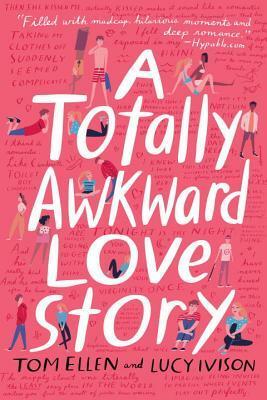 This one explores all the fantasies every kpop fangirl, well, or ANY fangirl, has had about his/her celebrity crush. Like, what if... WHAT IF, they just fall in love with you back? What if it's not a one sided love? WHAT IF? In this story, our girl is hoping to catch a glimpse of her favorite idol as he comes through the airport. She doesn't have tickets to the concert of course, (because who can ever freaking get a ticket?) but she thinks seeing him for a moment is the second best thing. But then she is shoved just as he walks by and misses it. And then she gets called on to cover a shift at work, catering at the hotel. Sigh. Well, and so who does she end up catering for? The whole band of course! 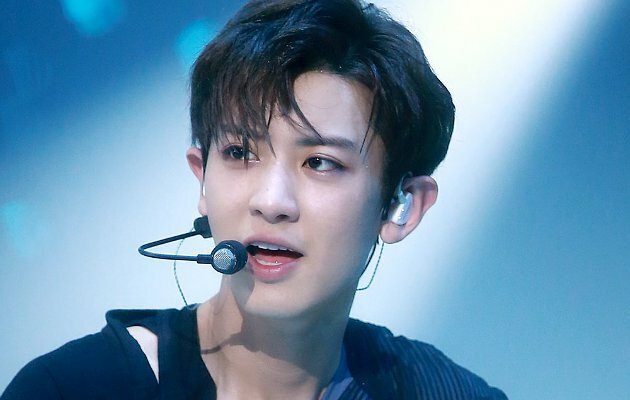 And her boy (thank you for letting me totally picture Chanyeol from EXO for this role!) seems oddly interested in her. And he gives her a signed picture. And she breaks down and cries and runs out and he follows her. And then, stuff happens. Suddenly a little adventure is underway! I loved how nearly every fantasy girls have regarding their favorite is addressed in this fun little story. I was like nodding right along going yep... yep... yep... so true! Much of it is very very much beyond reality, but that's the whole point... it's a fantasy. What fangirls dream about. Another fun and fluffy kpop story. I enjoyed it! I started this one a long time ago and then quit... but decided to finish it awhile back during a bit of a lull in drama watching. It was a fun and cute one, but not one of my favorites, sadly. There's a "school" series in the drama land... there's a 2013 one and a 2015 one and then this one. I hear that the 2013 one is awesome, so I will probably watch that one at some point. Maybe even the 2015 one sometime too. We'll see. This one is a story about a dude who's dad runs a posh and private high school. He doesn't really like how things are run, so he rebels by dressing up in black and being a sort of vigilante... sabotaging things in the school like turning on the sprinkling system during testing day. The kids love this person, but the administration needs to catch him. Well, our girl, who struggles to maintain a good enough GPA to even stay in school, finds herself in the wrong place at the wrong time and suddenly is accused of being "student X" as this kid is has been dubbed. Then the real student X has to decide if he will save her or not. In between all this Student X business, we learn the back stories of several of the students and some of them are pretty sad. Some of these kids end up getting together to solve the problems of the school and get back at the administration. In the meantime, our guy, who is really quite emo and ornery, starts to change when our girl ends up in his life. He turns from angsty to cute and bubbly. I love that! LOL! And there were tons of almost kisses, but guys.. .NO KISSES AT ALL IN THE END! What is up with that??? GAH!!! Anyway, as I said, it's a cute high school romance and fun story, but not one of my favorites of late. Still, I'm glad I watched it. Well wow. This book was a huge disappointment. We bought it randomly at the story based on title and cover. It looked cute and fun. It says it's a love story. But in reality, it is not at all. And now I've probably waited too long to reveal my thoughts and can't even remember anything since I've just pretty much wanted to forget that I read it! It's told from the points of view of two kids, a boy and girl. (The authors each had one of the characters, which is usually kinda fun, usually.) And all they really want is to lose their virginity before college starts. Doesn't really matter how or with who, just that it happens. So I was hoping that these two would actually FALL IN LOVE and then realize there's more to a relationship than... you know.. THAT. So that's why I kept reading, despite the crudeness, the cursing, the drugs, the drinking, the bad choices, the stupid behavior, the cliche parties and etc. I kept reading because I wanted to see them truly fall in love and I wanted to see a different side of them. Anyway. A waste of money and time, this one.